Chin Peng, the former guerrilla leader of the Communist Party of Malaya (CPM), died in Thailand on 16th September at the age of 88. His party had not been active since signing the peace agreement with the Malaysian government in 1989. Some of his colleagues had been able to return to Malaysia from exile and others have been living in a resettlement village in Southern Thailand. But the Malaysia government denied Chin Peng the right to enter into the country; even after his death, they did not even want to allow his remains or ashes to be brought into the country. Many Malaysians see the BN (National Front) government position on Chin Peng as irrational and hypocritical; he had signed a peace deal with the government in which he and his colleagues were promised to be allowed back into Malaysia. 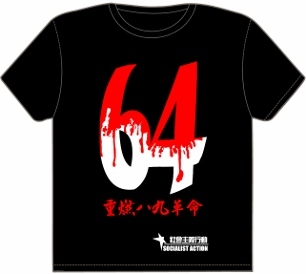 Many historians have argued that Chin Peng and the CPM played a key role in defeating the Japanese occupation of Malaya from 1941 to 1945, and also that their guerrilla struggle against the British, that started in 1948, accelerated the independence of Malaya in 1957. The emergency period from 1948 to 1960 was used by the British to weaken the MCP as well as to establish a new right wing force – the Alliance Party (now BN) – to favour the economic and political agenda of British imperialism. The Alliance Party capitalised on the weakening of the MCP to come to power. Since then, they have always used the CPM as a bogeyman, condemning the guerrillas as terrorists to frighten people. They promote nationalism by exaggerating their own role in the past in getting the British to concede independence from the British. Although the government has tried to obliterate the MCP chapter from Malaysian history, the new generation and others that want to learn the truth about the MCP role, will look into their experience – their struggles, tactics and ideas. Chin Peng, in his last wishes, stated that: “In the final analysis, I wish to be remembered simply as a good man who could tell the world that he had dared to spend his entire life in pursuit of his own ideals to create a better world for his people….It is irrelevant whether I succeeded or failed, at least I did what I did. Hopefully the path I have taken will be followed and improved upon by the young after me. It is my conviction that the flames of social justice and humanity will never die”. 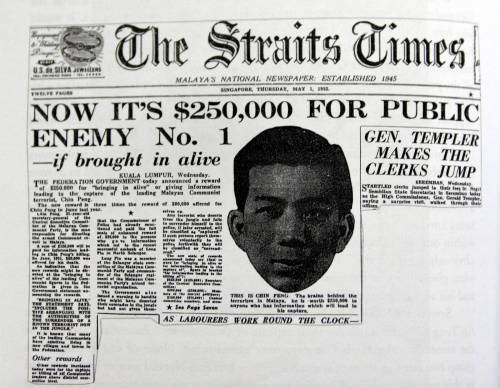 The CWI recognises the important role of Chin Peng and the MCP in Malaysian history – especially before independence, fighting the Japanese and the British. But during their struggles, the CPM and its leaders made serious mistakes in their perspectives and their tactics which were used by the British and the Alliance Party to weaken them. From 1930 onwards, young fighters of the CPM were attracted to the idea of socialism, even in a distorted form as promoted by the Stalinist and Maoist regimes in Russia and China. They saw it as an alternative for fighting against the imperialist and capitalist agenda. Moving to build ‘a better world’, new generations should critically analyse and learn from the experiences and mistakes made by the CPM and its leaders in their struggles. Since independence, Malaysia’s government under the BN has continued to safeguard capitalism that was introduced by British imperialism. In the name of development, neo-colonialism was used by multinational corporations as well as national capitalists to continually plunder the vast resources of the country. Because of being an export dependent economy, Malaysia has to dance to the tune of the international capitalists. The unstable socio-economic situation of the country is a further burden on the working class and ordinary people. Currently Malaysia is one of the states that has the highest rich-poor disparity in Southeast Asia. This shows that capitalism has no solution to fulfil the real needs of the working class and poor. Only through fighting for an economy that is democratically planned according to the needs of the working class, of young people and others who are oppressed by the system, can real independence and democratic rights be gained as well as economic and social rights. 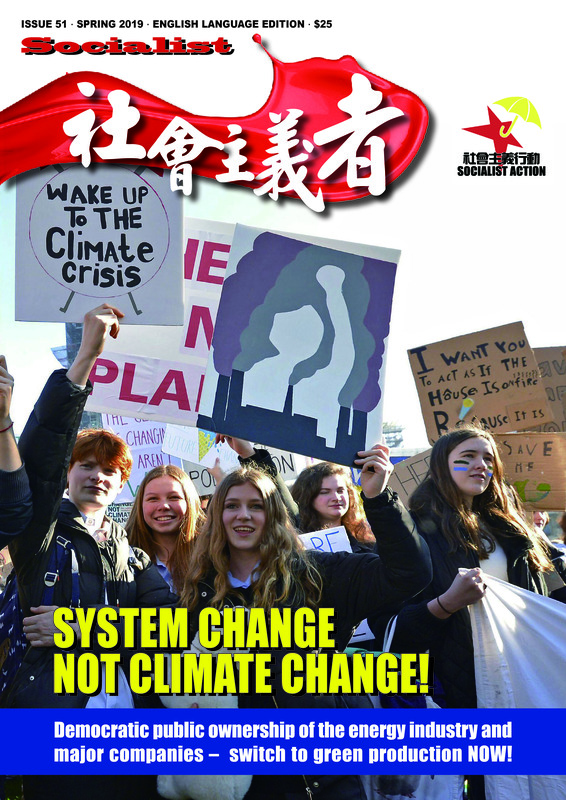 The struggle for socialism as the alternative to capitalism is crucial, and the new generation should learn from past mistakes in order to avoid repeating the same errors. Here we publish a link to the review of the autobiography: “Chin Peng: My Side of History” by Peter Taaffe which looked in depth at the MCP’s experiences and its tactics.